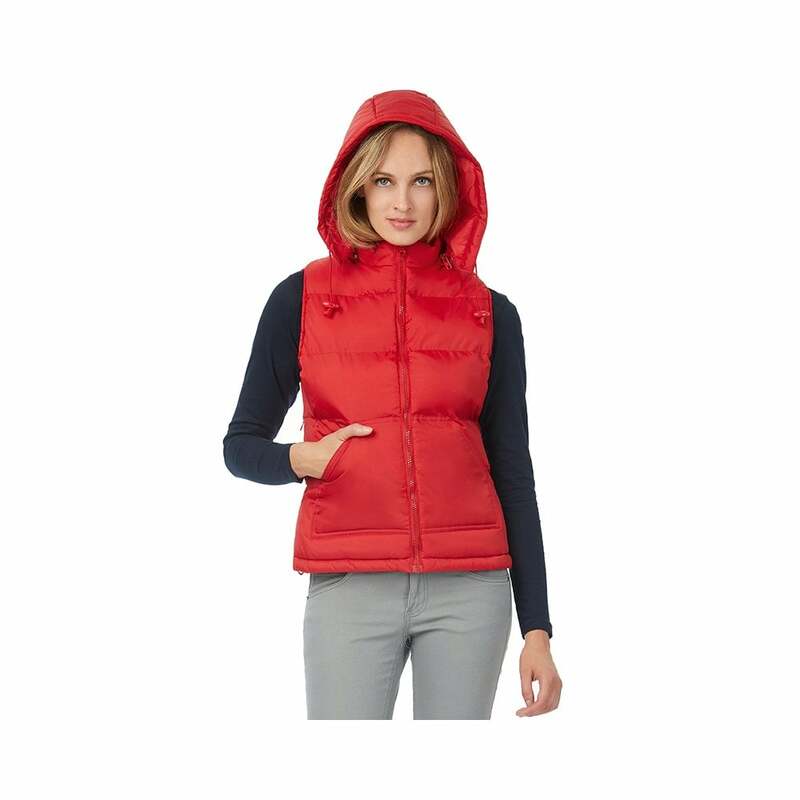 B and C Collection Ladies Zen+ Jacket this is a trendy down feminine body warmer which offers its wearer warmth and protection from the wind and rain. It is made from 100% taffeta nylon and has some amazing features including a full zip opening, a padded hood which is detachable and 2 side pockets. This body warmer is available in 3 classic colours, red, navy, black and white. Sizes range from extra- small and go up to 2 extra-large. In: 100% padded taffeta polyester lining with feather touch.